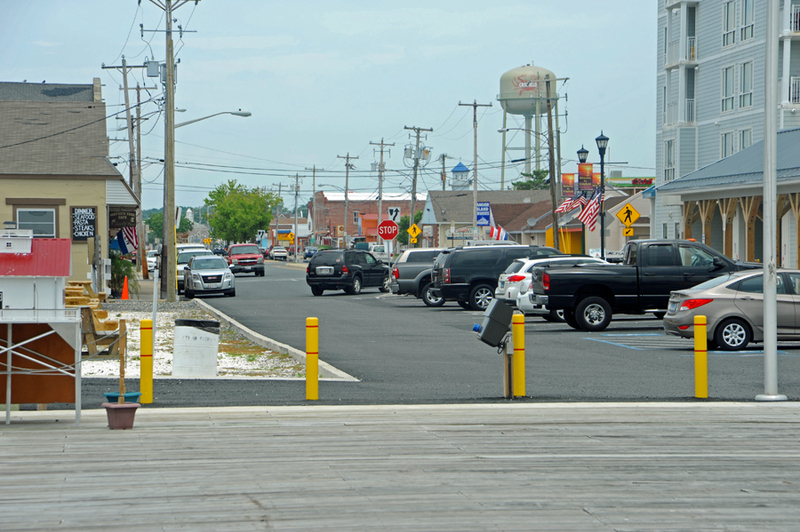 Our cruising guide described Crisfield as “a town in transition”. What does that mean? To find out we went there. 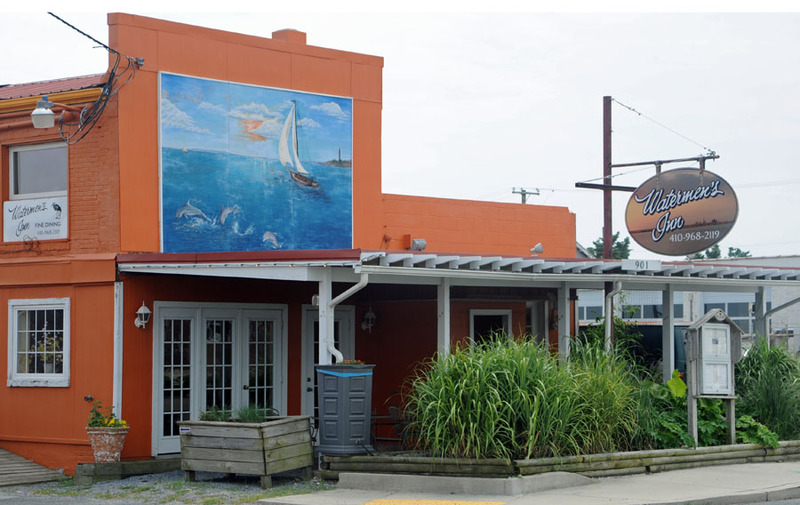 Crisfield is the southernmost town in Maryland and was once a bustling town during the boom years of oysters. It also served as a railroad hub for ships in the Chesapeake Bay to unload seafood for transportation by train. At the Crisfield museum we saw pictures of the downtown in its heyday. The railroad ran right down the middle of Main Street. Over the years, the businesses have either closed or moved. The railroad is gone and so are the people. Today, not much is left. A lot of what is left needs either a coat of paint or a bulldozer. 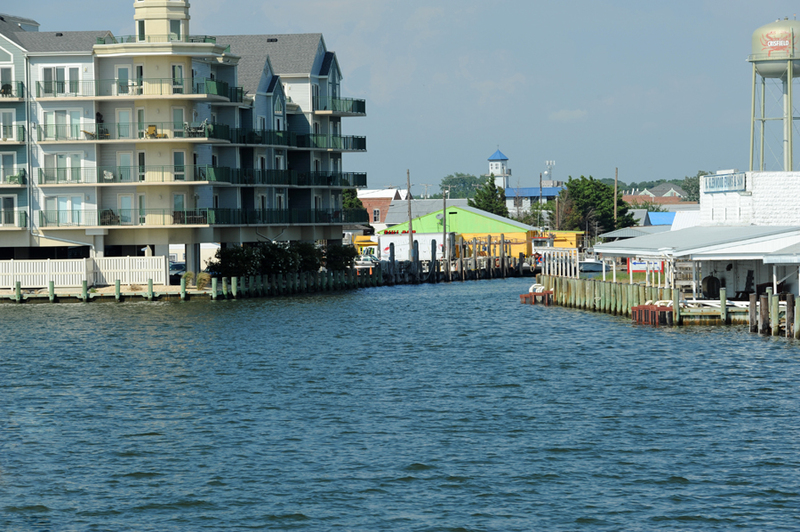 Some developers came to Crisfield and purchased waterfront property. I’m assuming they got it pretty cheap. They built condominiums and marinas. 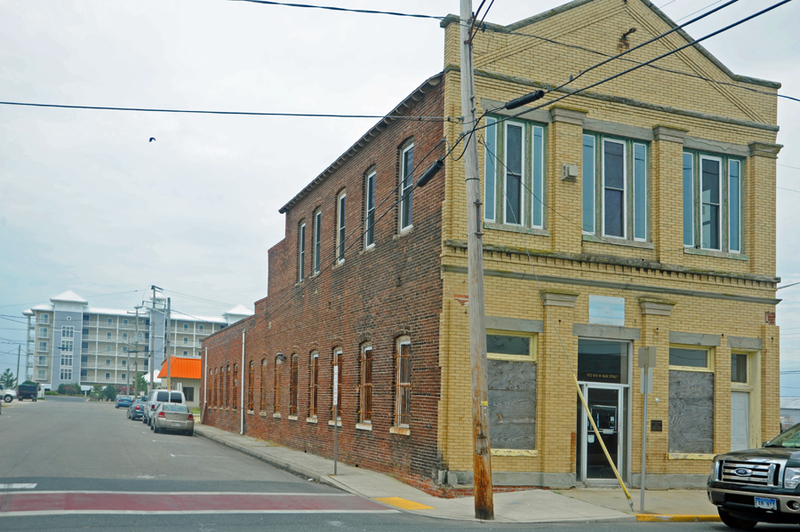 There is an ongoing effort to transform this once industrial town to a tourist destination and sports fishing town. Most of what was built was prior to the USA real-estate bubble popping. Crisfield hasn’t seen recovery yet. During our stay there, we noted the penthouse of a condo complex was listed at $300K, reduced from $700k. It touted Chesapeake Bay views, 4 bedrooms and over 3,000 square feet. Thus, it is a town in transition. 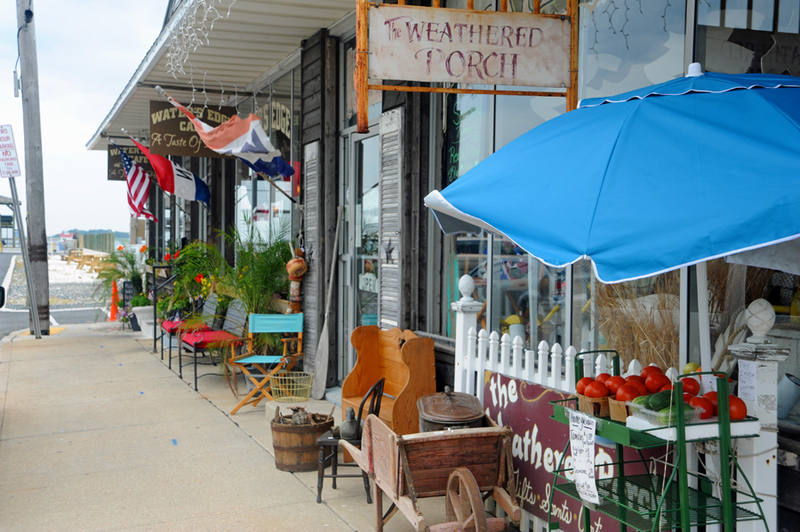 We hope Crisfield transforms because it is a town with character in an ideal location. We love Crisfield. 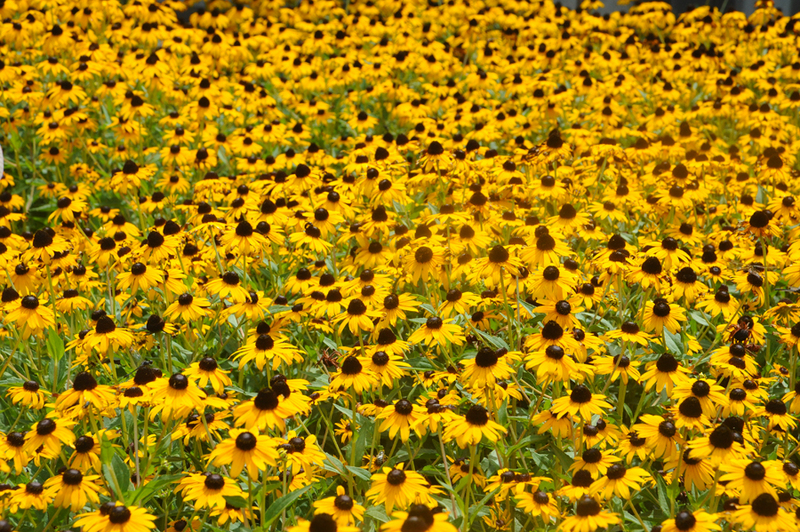 Due to the small population, it is very easy to become known. We often stopped as we walked downtown and had a conversation with a local business people. We found two great restaurants. There were more restaurants, but we did not try them since the two we liked were so good we just kept going back. Our favorite was Waters Edge Café where everything we ate was delicious. The second seemed a little out of place as a white tablecloth restaurant, Waterman’s Inn. I had a lamb shank there that was scrumptious. Cindy found a place to get her hair cut. I offered to do it but she wasn’t keen on the idea. Everything is located on Main Street, no need for a GPS. And, we found the prices very reasonable. The Marina is state owned. Just about everything in the Marina was new: New washers and dryers in the newly remodeled laundry room, Newly remodel bathhouses, new concrete floating docks, and a first rate swimming pool complete with cabana. The staff was super friendly and helpful. Best of all, it was cheap! We stayed for longer than we should have just because the price was right. We rented a car from there and made some side trips to Ocean City and Easton. We also used the car to buy provisions for the boat. We made a mental note that this would be a good marina to run to in case of an east coast hurricane. The marina has new pilings and is protected on all sides from wind and waves. There is a coast guard station located here and every morning while doing my crossword on the back of Cream Puff I was treated to Reveille at 0800 sharp. The Crisfield Heritage Foundation had an exhibit on decoy ducks. If you are a duck hunter, no doubt you have heard of Lem and Steve Ward, the Ward brothers. They were the Rembrandts of wooden duck decoy carving. I know what you are thinking; how bored I must have been to get into this. But let me assure you, the exhibit was anything but boring. I had no idea who these guys were. 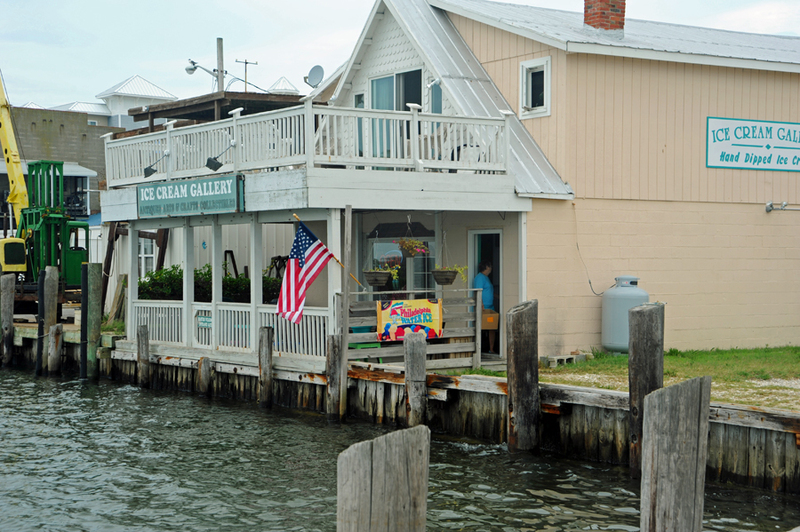 Their wood shop was located in Crisfield. 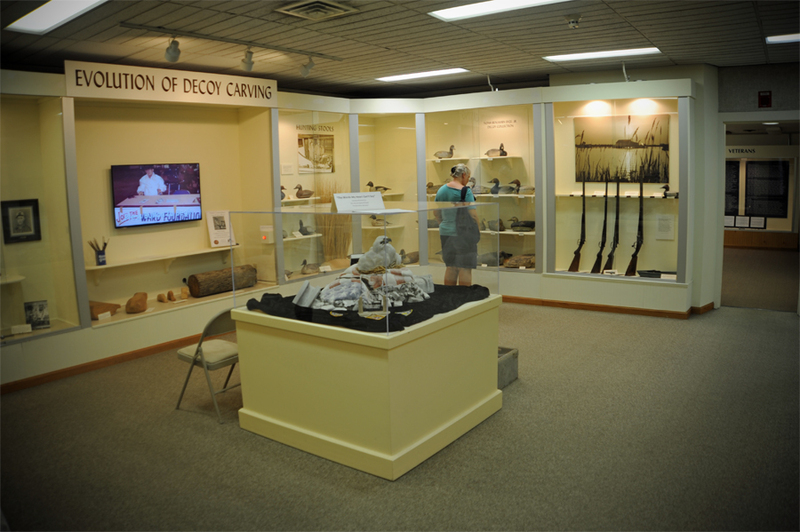 The exhibit did a great job of telling their story and how they came to carve ducks. The ducks looked real! I swear, if I had a few slices of bread the wooden ducks would have come to life. Here is a link to the site if you are curious – full story. Because we stayed here for an extended time, we were able to get our mail sent and placed a few orders on Amazon. We add stuff to our wish list as we need it and when we are going to be situated at one location for more than a week we place the order. We had boxes arrive just about every day. Cream Puff got a new flag, the old once was faded and getting very tattered. We bought restaurant style little packs of jelly and marmalade, Tupperware, engine parts, sunscreen, a new phone (the old one was iffy every since I jump in the pool in Key West with it in my pocket), T9 lubricant, Woody Wax boat soap, and so on. Needless to say, we are Amazon Prime members and love the free 2 day shipping. One of the young ladies in the marina office said having us there was like Christmas came early. So long as we are not in the Florida Straits, we think every day is like Christmas on Cream Puff. Waterman’s Inn Restaurant – Never judge a book by the cover! 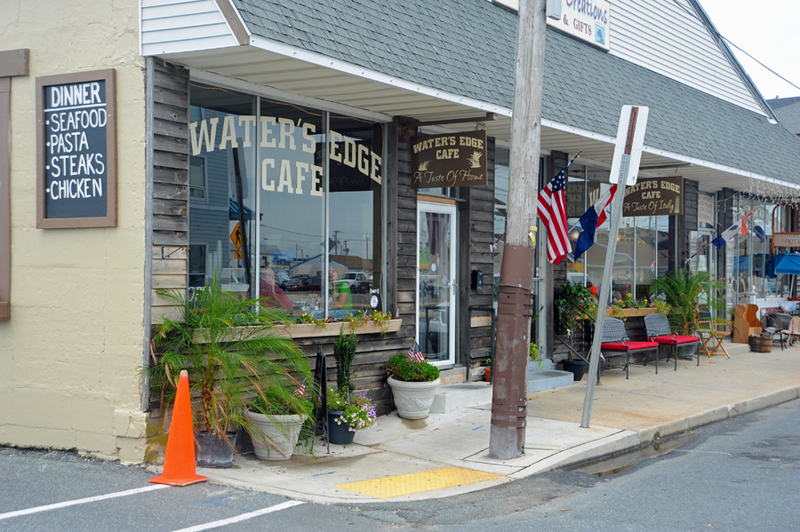 Water’s Edge Cafe – We ate here five times!